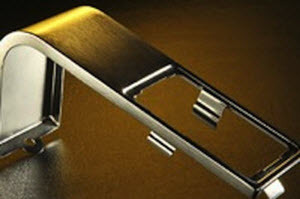 Pacific Metal Stampings specializes in 17-7PH custom metal stampings for a variety of of industries. 17-7PH stainless steel is a heat-treatable stainless steel with forming characteristics of 304 and may be hardened up to 200 thousand tensile strength after cold forming. 17-7 stainless steel is suitable for fresh water, industrial and medical environments. For over 40 years, Pacific Metal Stampings has been providing 17-7 ss stampings including springs, washers, clip and more.